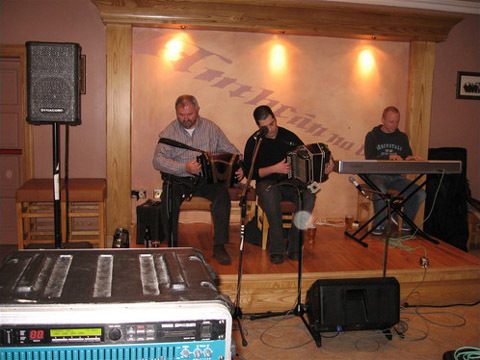 John Gannon was born in Droim, Lettermore, County Galway, where he learned his music. John like most back then was self taught. In 1959 John immigrated to the States first Chicago then Pittsburg and then settling in Boston where he lives now with his lovely wife Gerry, from Tuirin, Connemara. 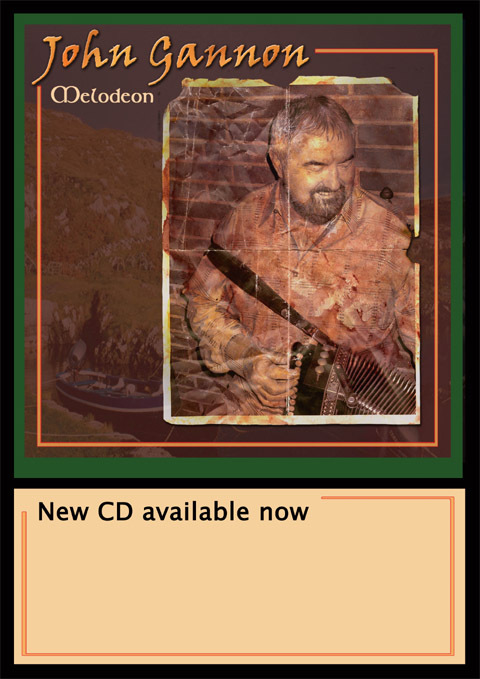 John gave up playing for over twenty years shortly after he had emigrated. 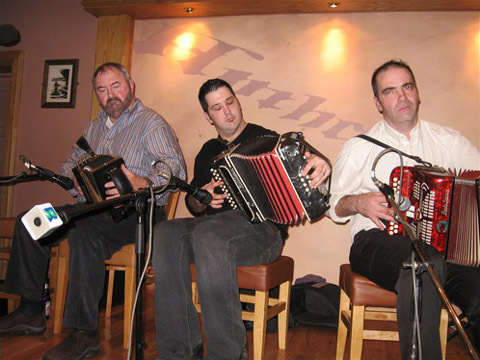 He started playing the box again when he wanted to pass it on to his two sons Sean and Colm and has been at it ever since. 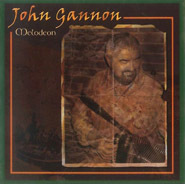 John Gannon's melodeon playing is different and distinctive in his own style even though he utilizes his power of recall in full in this very enjoyable debut album of his. First impressions have a lasting effect and the more we listen to it the greater the appeal. Although he possesses a unique and personal style of his own, here we have loads of touches of yesteryear with the almost ever-present introductory long note and equally constant unhurried tempo along with that wonderful steady unfailing rythm throughout. 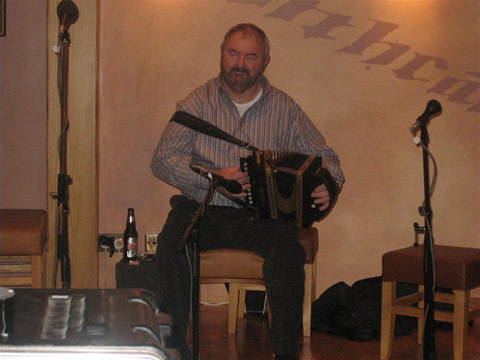 An equally competant two row accordionist, John can switch from one to the other with natural ease. 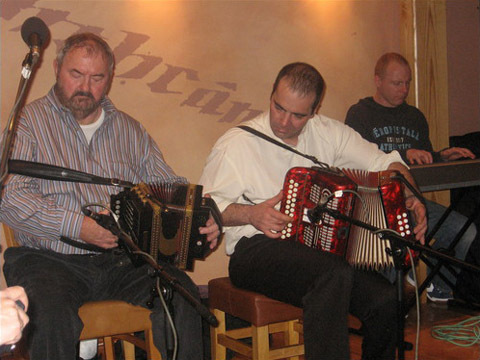 His melodeon arrangement of some unusual reel tracks supports this theory.On one of these tracks his younger son, Colm, joins him with a rare selection of reels. 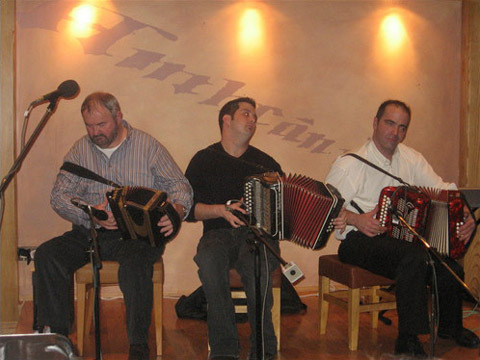 But John mainly chose from his vast repetoire of old melodeon tunes from his native Connemara for this album. An example of these are hornpipes like the Boys of Blue Hill and the Plains of Boyle, some reels like Miss McLeods, Johnny will you marry me and the Blackberry blossom in a rare lower key to suit the 10-key Castagnari model. 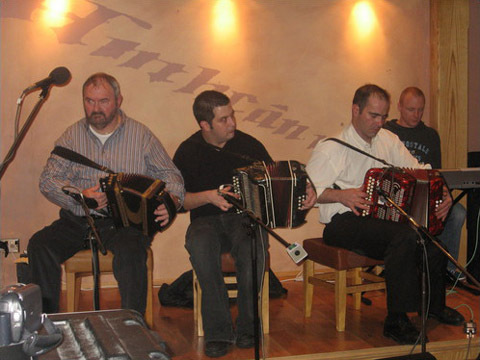 But his selection of jigs particularly emphasises a reflects the older popular dance music of his native Garumna Island: Cailliach an Airgid (The Hag with the Money), Haste to the Wedding, The Irish Washerwoman, The Connaghtman's Rambles and An Rogaire Dubh (The Black Rogue) and The Ramblin Pitchfork, on which he is joined by his older accordion-playing son, Sean. 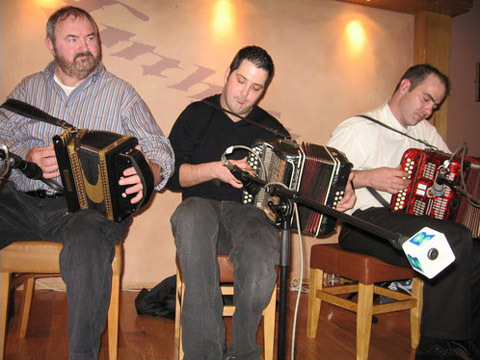 Yes two tremendous debut box albums within the space of twelve months from father and son, but in reverse order, speak volumes for the musical activities of the Gannon family of Boston and Droim. And it is my honour and priviledge to be part of this tremendous occasion. Return to Droim. The hotel was crowded with celebrated musicians and music Connoissuers. 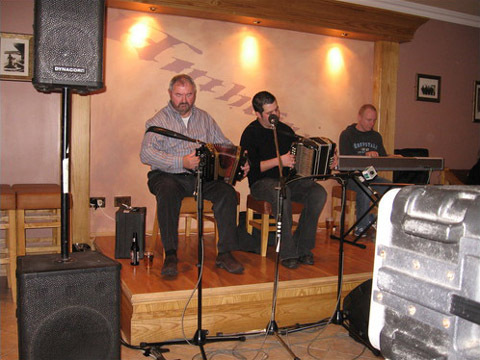 We were treated to some excellent music from Colm and friends and just when we thought, it gets no better than this, Colm invited his father, John, on stage for a few tunes. Everyone present that night knew they were witnessing something very special. This was big league music! When John started to play there was an immediate connection with the audience, it is this ingredient, which makes him such a distinctive musician. I am delighted to give this album my blessing and I praise the excellent work done here by all the production team. This is a must for anyone's music collection. Fair play John Gannon.